Polytechnic offers courses in various industrial arts and applied sciences and is a higher education technical institution. To perform basic engineering tasks, Polytechnics offer degree courses. 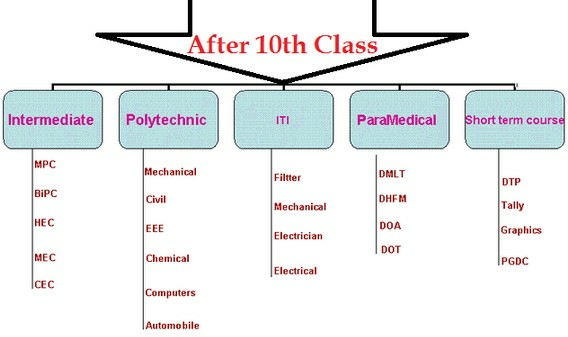 Polytechnic courses offered in engineering colleges are like a short version of courses. These institutions are not affiliated with any university and affiliated to state technical boards. For regulation of polytechnics in India All India Council of Technical Education is the regulating authority. Students can gain lateral entry to engineering degree (undergraduate) courses called B.E. after successfully completing their diploma in polytechnics. To promote technical education polytechnics are the cheapest medium. Candidates who want to get employed as soon as possible Polytechnics are most suitable method. After three years of study in a polytechnic college candidate can apply for three years of engineering education. If candidate do engineering education after higher secondary education then also he has to spend four years of engineering programme and total become 6 years. But after polytechnic education it takes less cost and more advantage. There are both privately operated and government aided Polytechnic institutes. Admission criteria may vary based on the institutes. Matriculation is the minimum eligibility criterion to appear in the test. For admission many polytechnic institutes conduct entrance test. Fee also may vary from institute to institute. Candidate can get lateral Entry into B.Tech(2nd year) after successful completing diploma course. Other then this there are various goverment jobs in which he can apply in various Companies.